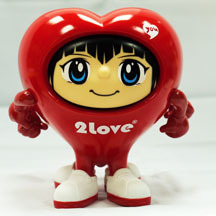 Lovely 2-in-1 heart shaped figure design for decoration. Two hearts can be separately displayed or you can combine these two hearts together as a big heart. It is a great ideal gift for your lover, friends and family.